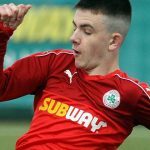 A stunner from Jude Winchester and Daniel Reynolds’ first goal for Cliftonville delivered a hard-earned win over Linfield at Windsor Park in their final game of the Danske Bank Premiership season. Following Robert Garrett’s sending off for a horrible challenge on Winchester, the Reds – boasting eight changes from the side that contested last weekend’s North Belfast Derby – pulled ahead when the midfielder picked his spot with a delightful curling effort from distance on 19 minutes. 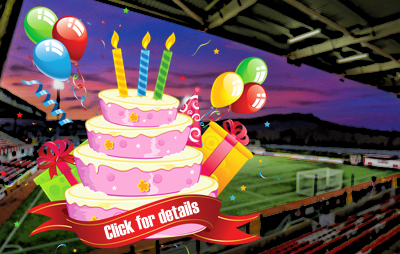 Reynolds showed good composure to slot into the bottom corner after being teed up by Conor McDonald shortly afterwards and, though Linfield reduced the arrears courtesy of a Jimmy Callacher header with just over a quarter of an hour to play, Cliftonville were worthy winners in a contest they controlled from the start. The first notable action of the afternoon was that Garrett dismissal. Having taken a heavy touch on the edge of his own penalty box, the Blues midfielder lunged in to stop Winchester from assuming control of the ball but, leading with the studs, left referee Keith Kennedy with no option but to flash a red card. A few minutes later, Cliftonville were in front. There was little indication of what was to come when Winchester ambled forward but, after opening his body up, he executed a perfect curling strike that screamed away from goalkeeper Roy Carroll’s dive and nestled in the far corner. It wasn’t long before the visitors’ advantage was doubled. Ross Lavery knocked the ball down for Conor McDonald, who quickly sent Reynolds scampering through on goal and he made no mistake with a well-taken finish. The same player was inches away from making it 3-0 when he whipped a low strike just past the base of the post before Andy Waterworth was off target with an attempt at the other end. Linfield’s hopes of reducing the arrears before half-time were thwarted by Declan Dunne when the Reds’ debutant goalkeeper produced a telling touch to divert Stephen Lowry’s cross away from the lurking Waterworth. After the break, McDonald almost added to the visitors’ tally before Lavery saw a low attempt superbly turned behind by Carroll, who made an eye-catching save just when Stephen Garrett looked poised to convert Tomas Cosgrove’s delivery. The Blues reduced the arrears with their first effort on target when Callacher rose highest to nod Kirk Millar’s corner kick home and they thought they’d rescued a point when Mark Stafford found the net in injury-time, however Callacher’s obvious foul on Dunne saw the attempt ruled out. 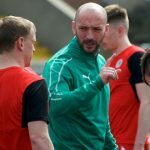 Cliftonville: Dunne, McGovern, Breen (Grimes, 46 mins), Ives, A Donnelly, Garrett, Winchester (Cosgrove, 71 mins), McDonald, Bagnall, Lavery, Reynolds (G Donnelly, 90 mins). Unused sub: Mooney.